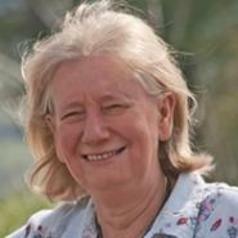 Joanna Mack is an Honorary Senior Research Fellow in the School of Policy Studies at the University of Bristol and a Visiting Fellow in the Faculty of Social Sciences at the Open University. She was part of the successful bid team and the Open University's lead for the ESRC-funded, inter-university Poverty and Social Exclusion research project, which ran from 2010 to 2015 and was the largest ever research project in the UK into poverty. In 2012, she set up the Poverty and Social Exclusion website - www.poverty.ac.uk - which has become an important source of information on poverty and social exclusion in the UK and is now extensively used by researchers, educators, students and the general public. She is co-author (with Stewart Lansley) of 'Breadline Britain - the rise of mass poverty' (Onewold, 2015) which draws on thirty years of research in this field. Until January 2016, she was Head of Video and Audio for the university, overseeing the production of teaching materials. She worked, in particular, on a wide range of new modules for the social science faculty covering social policy, psychology, economics, politics and the environment. After graduating from Cambridge University, she worked on New Society magazine before moving into broadcast television where she had a long and successful career as a producer/director of factual programmes working ofr first London Weekend Television and then running her own production company, Domino Films. During this period, her films and documentaries won many prestigious awards, including from BAFTA, Royal Television Society, British Film Institute, and British Universities Film and Video Council, and, internationally, from New York International Film and Television Festival, Chicago International Film Festival, San Francisco Festival and the CableAce Awards of North America. She produced and directed the first Breadline Britain series in 1983 and was the series editor for the second series in the 1990s, both broadcast on the ITV network. For the 1983 series she set up the pioneering research survey behind the series which devised a new approach for measuring poverty based on the public's perceptions of necessities. This methodolog,y which she set out in 'Poor Britain' (1985), has been used by researchers and governments in the UK, the European Union and many other countries from Japan to South Africa. She also produced and directed Lost Children of the Empire, a ground breaking documentary uncovering the story of child migration from the UK under which children as young a three were shipped to Australia, Canada, New Zealand and the former Southern Rhodesia from the turn of the 20th century up until as the late 1960s. The film's broadcast in the UK and Australia, and the subsequent book of the same name, helped secure the foundation of the Child Migrants Trust and their work supporting families separated by these practices. Two decades later it led to official apologies from the Australian and UK governments. She has written extensively about poverty and inequality, including for The Guardian, The Scotsman and Tribune. She has regularly been interviewed for radio about her work and has presented at a number of festivals including The South Bank Centre and the Edinburgh Book Festival. Breadline Britain: The Rise of Mass Poverty (with Stewart Lansley), Oneworld, 2015.